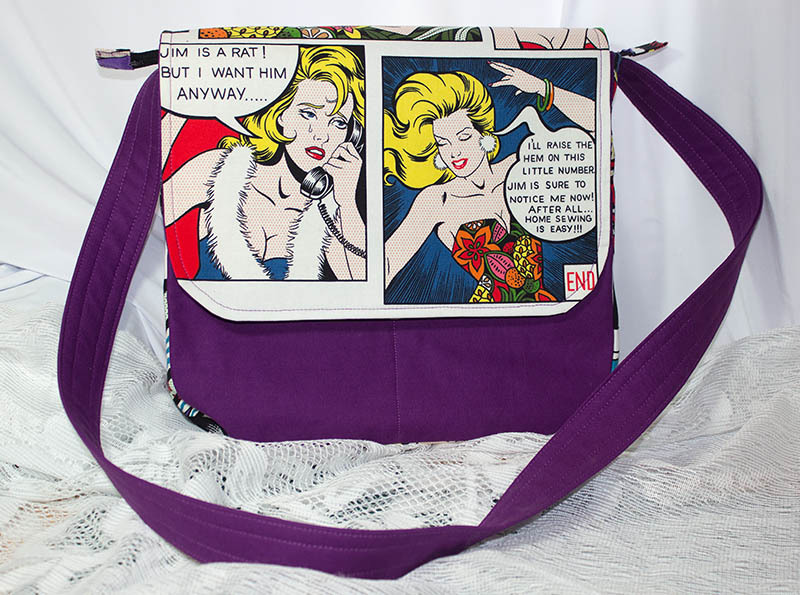 Same bag pattern as THIS one that Billie bought, but this is a different design main fabric. If you want to see the pockets and stuff, look at tuther one. That's a fun bag, Lorraine - didn't realise you were going back to making them? I'm not, Lynda. It's the one I finished before starting crafting again. Good stuff, a lot of UFOs getting finished atm, several people I know are catching up. Doing well on all the finish it jobs! Fun fabric.